When we talk about practicing Reading skills, it may seem really easy: just read everything you can in English. As a matter of fact, this surely is a great tip for the fluency acquisition process. Just like listening and speaking skills, it’s important to incorporate the reading practice to your leisure moments. However, we should be extra careful with the reading because it is the result of the gathering of all the other skills. When you are able to understand what you hear and to express your thoughts well, becoming a fluent reader happens almost naturally. Read everything you can in English. Of course, when we read something we like, it’s easier to maintain our focus. Besides that, if you already have some previous knowledge on the subject you are reading about, it can be easier for you to understand. However, reading about different subjects, besides practicing the skill, can also help to widen your vocabulary. In this blog we have already talked about texts accompanied by audio files. Just to remind you: It’s NOT possible to acquire fluency through them, but they are a good way to practice the language. By reading and listening at the same time, your brain receives new inputs in a primary acquisition moment. Besides that, you understand not only how that word is pronounced, but also how it’s spelled, which can be different in the English Language. Once again, it’s important to say: No translations! When you read a text, try to comprehend its content by the context. Write down any word you don’t understand and later you can look it up in an English-English dictionary. Are 30 minutes a day enough? We already know that what is recommended for natural acquisition of a language (which makes the fluency, in fact, definitive) is its practice for 30 minutes a day, and yes, it’s enough. 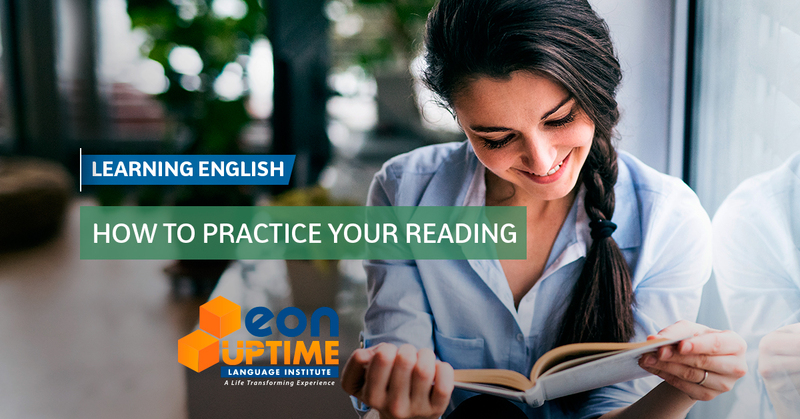 However, to achieve that, you have to set a time in your daily routine to focus on your studies, even if that means reading a chapter of your favorite book in English or studying what you saw in the classroom. With discipline, dedication and good monitoring (you can’t do everything by yourself, without knowing if you’re making mistakes), you can be closer than you think to your dream of speaking English fluently.